"No more dry, lackluster burgers. These are juicy, and spices can be easily added or changed to suit anyone's taste. Baste frequently with your favorite barbeque sauce. If you find the meat mixture too mushy, just add more bread crumbs until it forms patties that hold their shape." 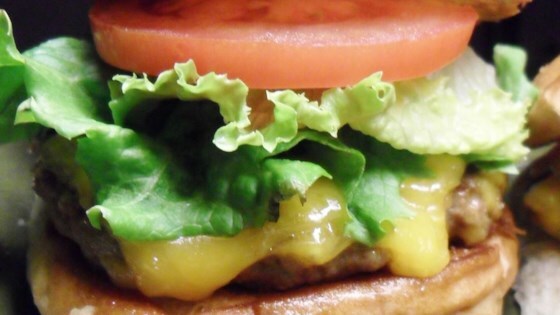 No more dry burgers with this easy recipe. The best burgers I ever had. I use regular milk. My friends came over to eat and they just loved them. Will be making over and over. Thank you Jane.